At The Elmwood Dental Group LLC your child's healthy smile is as important to us as an adult's smile. Monitoring the growth and development of a child's teeth and jaw is imperative to their future dental health. We suggest a first trip to the dental office at one or two years of age. When your child is old enough, we can keep their teeth healthy by regularly removing plaque build-up and food debris. Make sure they are brushing and flossing regularly at home. Below are some of the services we provide for our smaller patients, and some helpful tips for parents! Just like you, a good oral hygiene routine is essential for the oral health of your child. With your help, your child should be brushing their teeth at least twice a day and flossing at least once daily. In addition to at-home oral care, your child should also have their teeth cleaned and examined at least twice a year. When Should My Child Visit the Dentisit? Most parents are unsure of when their child should have their very first dental appointment. However, just when should their first visit be? According to the American Academy of Pediatric Dentistry, it is recommended that your child is seen six months after the eruption of their first baby tooth or by the time of their first birthday. Even if your child does not have any teeth by their first birthday, they should still be seen. The Elmwood Dental Group LLC is here to help. It’s important to pay special attention to your baby’s primary teeth. Monitoring the growth and development of their teeth and jaw is imperative to their future dental health. We suggest a first trip to the dental office when their first tooth has erupted to get them familiar with us and our office, while properly educating the parents on nutrition and healthy habits at home. When your child is old enough, we can keep their teeth healthy by regularly removing plaque build-up and food debris. At this time we are looking inside the child’s mouth and we use the Tell, Show, Do approach to keep your child comfortable, while educating parents on daily dietary and homecare needs. 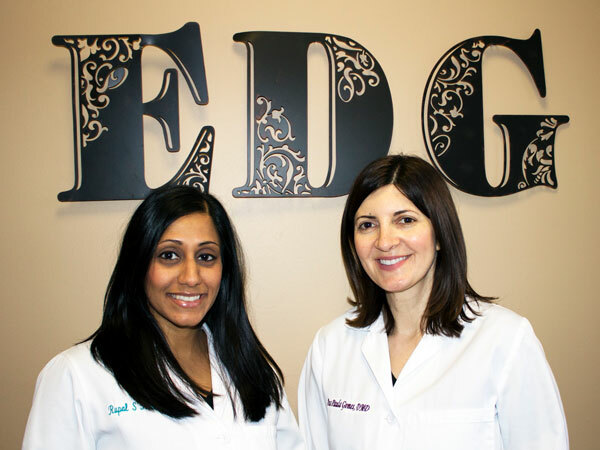 At The Elmwood Dental Group LLC, we pride ourselves on being a family dental practice. 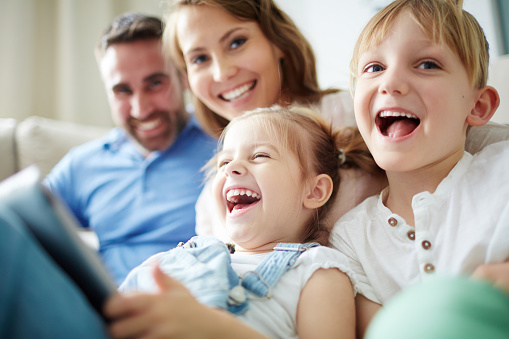 We want to ensure that all members of the family are receiving the best possible dental care, which is why we suggest bringing in your children as early as possible. We feel that with the proper educational tools, good oral hygiene starting as early as infancy, and our dental care, we can work together to keep your child’s teeth free of disease and decay. Tooth decay is the breakdown, or weakening, of tooth enamel. If not treated, it can lead to cavities. Cavities can have a significant impact on teeth, even baby teeth, compromising the strength of the teeth and the health of the mouth. Even if your child has decay or a cavity in a baby tooth, it is important that the issue is addressed immediately. Teens often face unique dental health issues that younger patients, and even older patients, do not. This is because many teens undergo orthodontic treatment to correct the alignment of their teeth and jaws. While braces are an effective treatment for providing your teen with a natural, beautiful bite, they can cause difficulties with proper dental care. Whether or not your teen wears braces, it is essential that they practice good oral hygiene.